Three people were shot at two locations in Maywood, sheriff's deputies said. 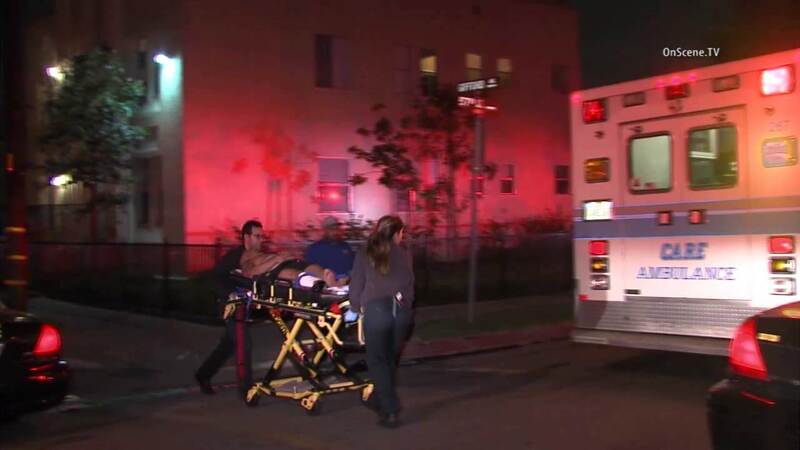 MAYWOOD, Calif. (KABC) -- Three people were wounded by gunfire at two separate locations in Maywood, according to the Los Angeles County Sheriff's Department. Deputies are investigating two different crime scenes - one person shot at Maywood and Slauson avenues and two shot a few blocks away in the 4000 block of 57th Street. Officials say the two shootings appear to be related. The call came in at 9:05 p.m. Officials said all three victims were transported to a local hospital in unknown condition.